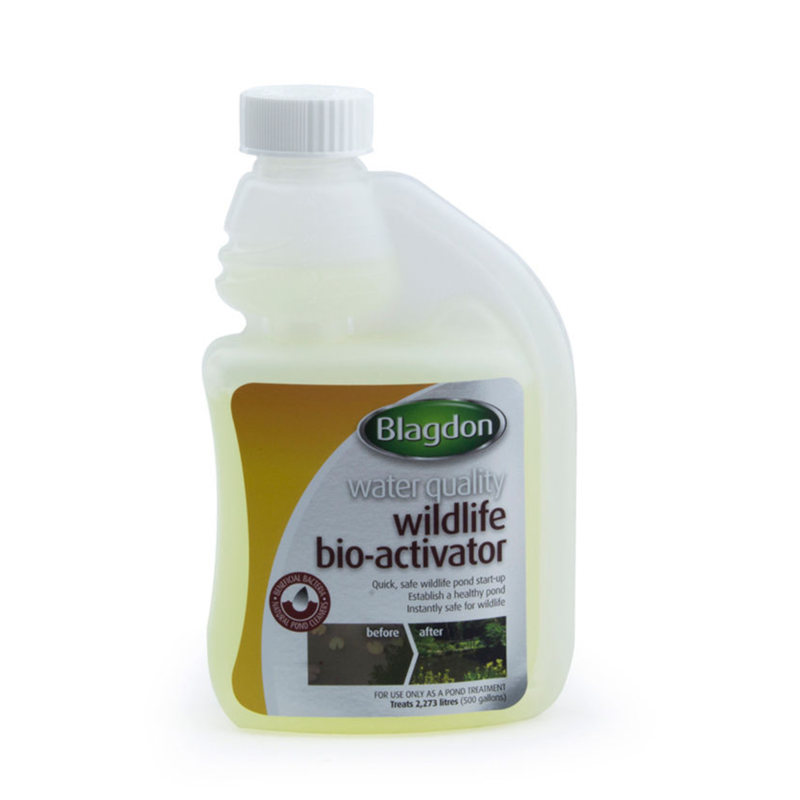 The Blagdon Wildlife Bio-Activator is a quick and easy to use treatment to safely start up a Wildlife Pond. 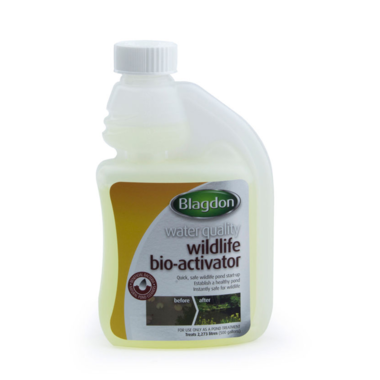 The Bio-Activator helps to establish a new wildlife pond by boosting filtration bacteria and encouraging essential healthy bacteria ready for the pond to be inhabited. Shake Bottle Well. Add 1 x 25ml Measure for every 900 Litres (200 Gallons) of pond water. Add to a small bucket of pond water and then distribute evenly over the ponds surface. Repeat the dose every 5 days then once a day until October.